Learn how to stop being lazy, set goals, develop self-discipline, manage your habits and quit procrastinating. · A student will procrastinate in school, waiting until the last minute to study for a test or write a term paper. · A professional will procrastinate on a work-related task because it’s challenging and requires hard work. · And an athlete might procrastinate on getting an injury checked out because he or she doesn’t want to miss an important game. The truth is that procrastination can have a severe effect on your life. It could even create a life-or-death situation. For instance, let’s say you’re experiencing pain and discomfort in your chest. Nine times out of ten, it might be nothing. But there’s a small chance that it’s a warning sign of an impending heart attack. 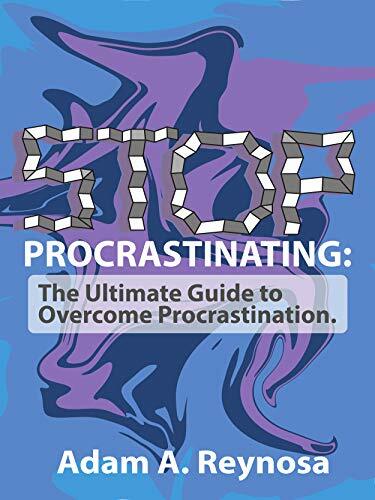 I hope this book will able to help you to learn how to counteract laziness, set aims, develop self-discipline, manage your habits and end procrastinating.